We make this easy for you, by alleviating the need to hire and manage energy efficiency contractors. We’ll connect you with the right vendors for your situation and support you through the entire energy management cycle. The Decision to go ahead with energy management belongs to you – our client. We’ll meet with you to discuss your business goals as they relate to energy management. Energy creates value for your business. We will help you produce the most out of it. After the first round of implementation is completed, it’s important to keep track of performance to ensure that achieved results stay. “Low hanging fruit tends to grow back.” To prevent it from growing we recommend long-term monitoring of energy consumption. It provides a peace of mind and validates financial results. 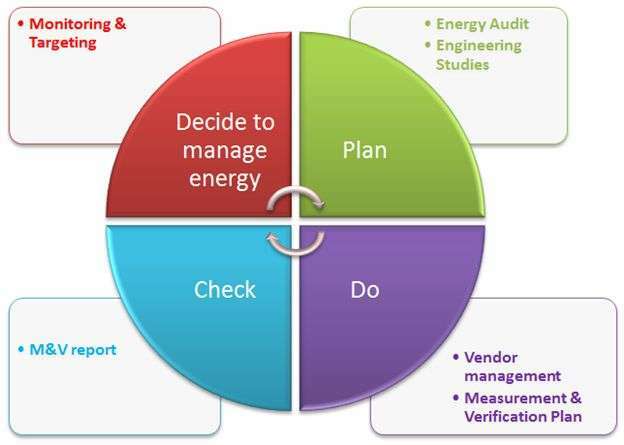 If energy management is an important factor of your business success we will proceed to an energy audit. The report generated from the audit will provide you with a list of solutions, prioritized by the estimated long-term value they’ll bring your company. Audit results are rarely sufficient to make an investment decision. To secure investment for profitable energy efficiency projects we’ll conduct an energy study. Studies are as detailed as needed to put your CFO at ease. We’ll present the results in a format customary to your company. We don’t just compare bills or collect estimates from vendors. To provide you with an accurate plan we account for the many factors that drive your utility consumption, including production variations and weather. Once you’ve settled on the specific projects, we’ll setup a Measurement and Verification Plan to ensure that you know exactly how much value these projects will generate. We’ll then help select the best vendors to complete your project. We do not collect commissions from vendors, so you can trust that our decisions are based on who we think is the best job for you. If required, we coordinate the implementation process. Once the project’s completed, we’ll calculate the actual savings achieved as a result of implementation, per the International Performance Measurement and Verification Protocol (IPMVP). We’ll include both indirect and non-energy benefits in our assessment. 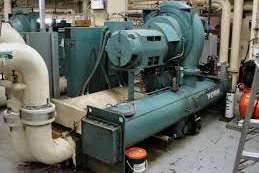 Energy management improves all aspects of industrial operation. Our clients experience peace of mind, lower costs, higher throughput and profitability, stable quality and engaged employees!